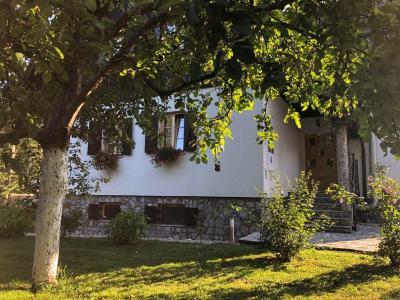 Lock in a great price for Pansion House Prijeboj – rated 9 by recent guests! 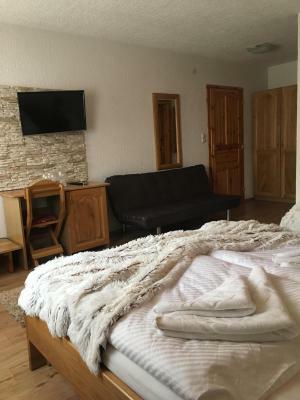 The property was easy to find, and was very clean and comfortable. The host was friendly and courteous. We were pleased with the breakfast buffet and dinner choices. Both were quite yummy. Plus, the host threw in a complimentary glass of red wine. Very friendly and helpful staff. Lovely breakfast. Agree with previous reviewers (good value, clean, friendly, wifi only fair, road noise, etc). 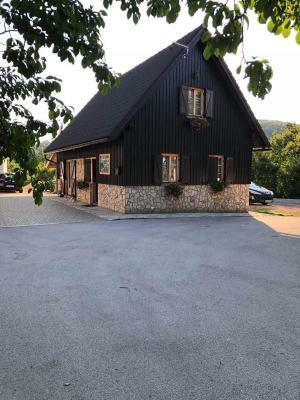 This is a newish (5 yrs) family business developed to serve the growing tourist trade to Plitvice Park and they continue to expand their number of rooms and services. Recommend settling in and ordering their trout dinner; ate outside with a cool glass of white wine. 21 yr old son managing the guests and doing a great job; good English; helped with a phone call to our next lodging. Close to Plivitce Lake National Park. Good breakfast. Wonderful, accommodating owners. New building. They accommodated our late check in and even kept their restaurant open to give us an amazing dinner. 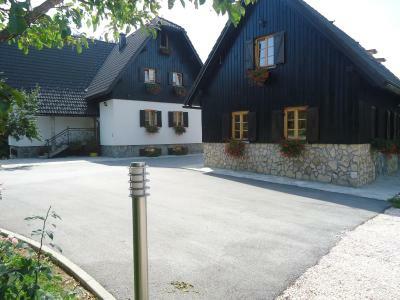 The location is very close to the main entrances into Plitvice Lakes National Park which is very convenient. The staff was really friendly and the room we had was really spacious. For a night or two this is okay, if you want to visit Plitvice and pay a somewhat reasonable price this is a good option. It is an excellent place if you want to go to Plitvice Lakes. Very good breakfast! 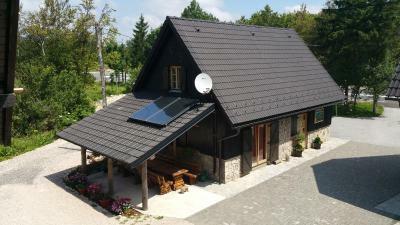 The guest house was very nice and a very good location to visit plitvice national parks (about 10 min drive away). The room we stayed in was very big and nicely decorated. 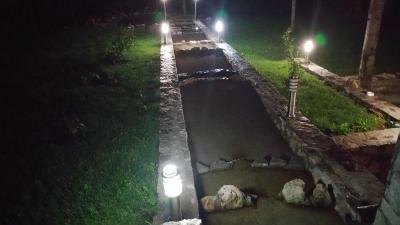 We had meals in the restaurant and could choose from a few options which included trout from the stream behind the guesthouse and the food was very good. There was even an awesome dog! We would highly recommend this place for a base to visit Plitvice. 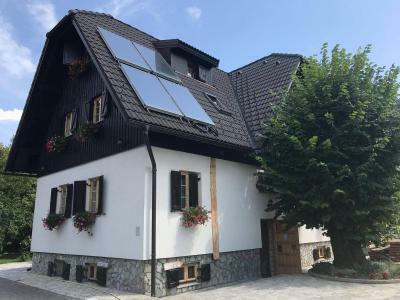 Pansion House Prijeboj This rating is a reflection of how the property compares to the industry standard when it comes to price, facilities and services available. It's based on a self-evaluation by the property. Use this rating to help choose your stay! 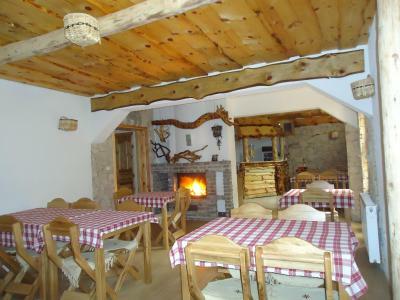 House Prijeboj is set in the quiet village of Prijeboj, within the UNESCO-protected Plitvice Lakes National Park. 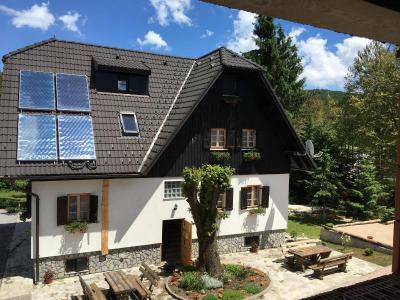 Next to a forest, the property offers free WiFi and air-conditioned rooms with handmade wooden furniture. Some rooms feature hardwood floors and an LCD satellite TV. 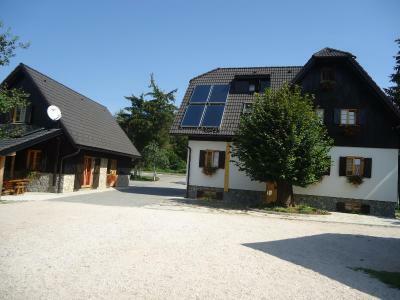 They offer a fridge, safe and a private bathroom with a shower. Some feature mountain views. 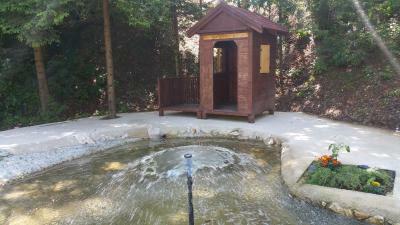 Two natural streams with drinking water and lots of fish and crabs run through the garden, which also features a playground, terrace and barbecue facilities. Breakfast is served at the dining room with a central fireplace each morning. 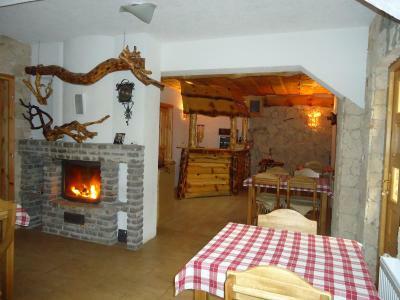 The surrounding forest is ideal for hiking, and Mukinje Ski Area is 1.9 mi from the Prijeboj House. 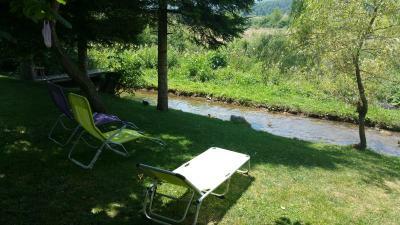 When would you like to stay at Pansion House Prijeboj? This air-conditioned room features mountain and garden views, hardwood floors and an LCD satellite TV. 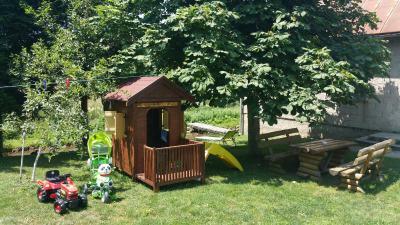 It offers a fridge, safe and wooden wall and ceiling paneling. This air-conditioned room features mountain and garden views, hardwood floors and an LCD satellite TV. It offers a fridge, safe and wooden wall paneling. 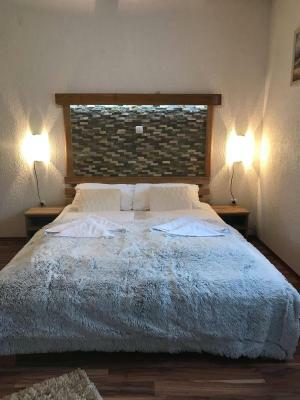 House Rules Pansion House Prijeboj takes special requests – add in the next step! Very polite and kind personnel. 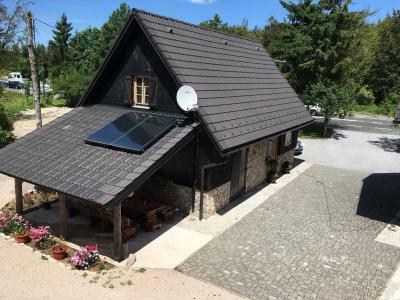 Location is perfect close to the lakes. 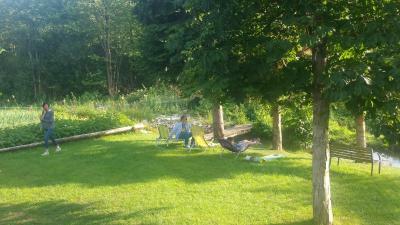 You can also rest after tiring day in the nice backyard. We had a warm welcome. The owner is very fexible and convenient if you need earlier breakfast. Meal is simple but very good and done with fresh ingredients. Triple room is very nice and big, feel like in a montain lodge. 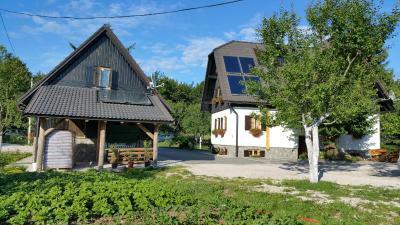 I highly recommend this hotel if you plan to visit Plitvice park, it is 5min driving. Very friendly staff, good clean rooms! Very comfortable rooms with nice outdoor space. Short drive to the Plitvice National Park. Very good quality food in the Pension's restaurant! The ownwe and staff are super friendly and willing to help. The hotel has beautiful garden, fruit tree and the room is new and clean. Breakfast has everything you need to start a fresh day. A truly pleasure stay. Needed to pay the owner in cash and this is not stated in the Bookings advertisement. Brilliant size room. Very friendly and helpful. Some traffic noise, but it is quiet at night. The family run Pansion was very welcoming. 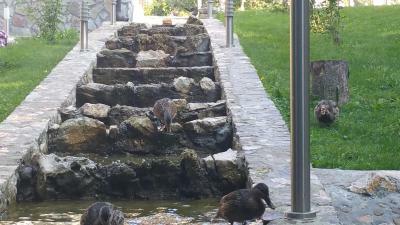 We were traveling by local bus around Croatia, so we thought we may have difficulties getting to and from the Plitvice Lakes - but the host personally drove us there and picked us up both days we visited the lakes. 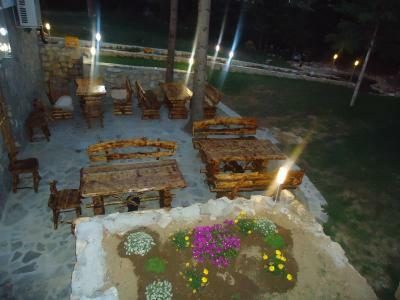 The restaurant is a bonus because you are in national parks and there is practically no shops or restaurants in the region. 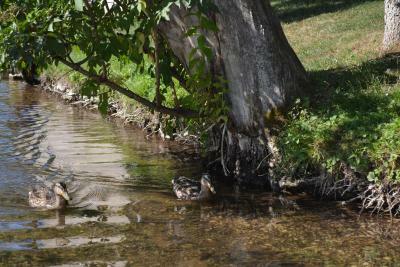 Pansion has fresh trout on the menu caught from one of the two streams running through their property. The rooms are very new and exceptionally comfortable. Honestly the stay overall was fantastic. I would caution that breakfast is quite simple here so if you are looking for something more fancy/hot meals, this is not the right place. Other than that, really can't say anything bad about this amazing stay. 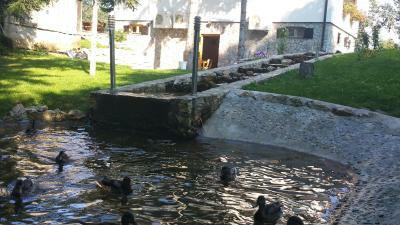 Most people visit an area like Prijeboj as they will be visiting Plitvice Lakes. From that sense, this location is brilliant - less than 5 minutes away by car. Beyond that however the actual place was extremely comfy and easy to stay at - the family (special thanks to Sabo) were extremely accommodating and helpful. The rooms are very spacious and clean.